When she left her family years ago, Nora didn’t know what would await her. 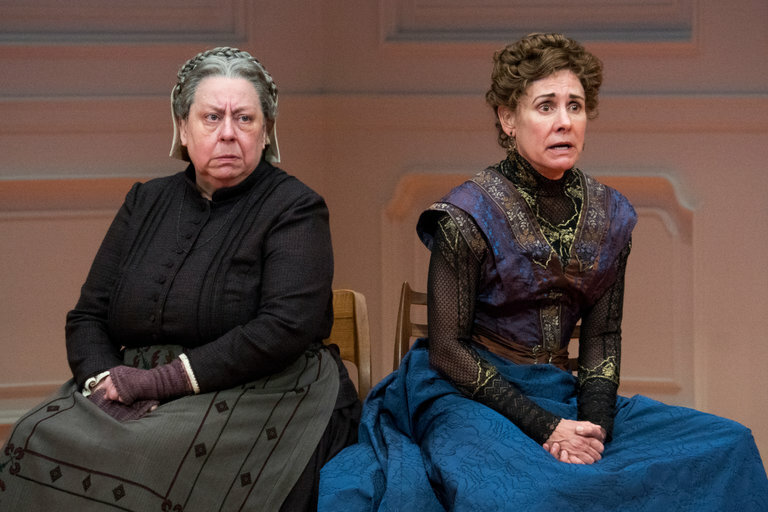 In this continuation of the 1879 Norwegian play A Doll’s House, A Doll’s House, Part 2 picks up 15 years later as Nora returns to straighten affairs and inadvertently reunites with her family in this lighter, more comedic re-imagining of a family dealing with social upheavals and new roles for women in the late 19th century. 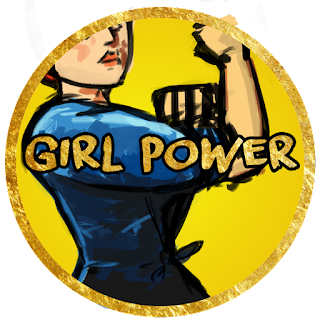 I first saw the original play last summer at the Theatre for a New Audience in Brooklyn, and was surprised at the amount of feminist theory being discussed in a play over a century old. This new play, a production commissioned by the South Coast Repertory, continues the plot left hanging in the original play, but does so with a much different tone and much more modern language. 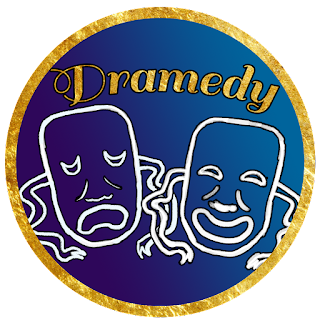 Though the plot is still as dramatic as the first, with numerous hanging threads from the first play picked up and knotted up further, this second part is a much more comedic look at what is essentially an almost tragic story of abandonment. 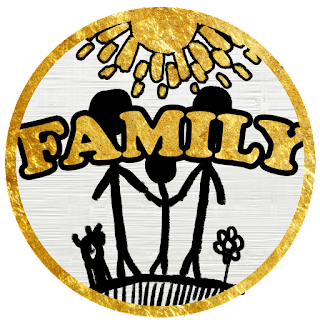 When Nora left at the end of the first play, it was not only a liberation from her husband, but a shift in a family with three young children that would not be resolved for years. Houdyshell (left) as Anne-Marie and Metcalf (right) as Nora. There are only four characters in this new play – Nora returns of course, and first speaks with Anne-Marie, the beleaguered maid, before running into her (surprisingly, not ex-) husband, Torvald, and later, their youngest child, Emmy, whose attitudes towards marriage run very opposed to Nora’s. Each character is wholly composed and strong in their own opinions, and they all clash with each other (though mostly with Nora). A Doll’s House, Part 2 is interesting because it looks at every side of the story, examining each person’s opinions on women and their role in the house (and the validity of marriage as an institution), and coming up with sound arguments and flaws for each person’s point of view. I was surprised there was no mention of the original play or its context in the Playbill, an omission which might leave those viewers not already familiar with the play in the dark as to not only the context of much of the plot, but will also take away some of the humor relating to both the original play and its place in history. For those who are unaware, or which to buff up before heading to see this Part 2, the original play by Henrik Ibsen (a Norwegian playwright known as being one of the founders of Modernism in theatre) dealt with a woman Nora, realizing how unhappy she is in her marriage and how limited her options are and leaves her husband and children towards an uncertain futures. In Part 2, Nora has become a writer, writing a controversial book about her life experiences, a book which inspires women around the country to leave their families. This, in historical context, places her in Ibsen’s position, as a similar thing happened in reaction to his play in 1879. 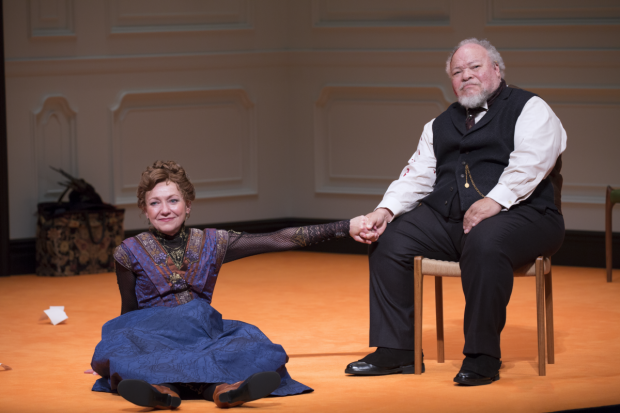 White (left) as Nora, and Henderson (right) as Torvald. The original cast has so far been rotated, with only Jayne Houdyshell staying on as Anne-Marie. The lead role, originated on Broadway by Laurie Metcalf, is now being played by The Little Dog Laughed’s Julie White, who does an excellent job at bringing to life the loud and complex Nora, who carries the show on her shoulders. Stephen McKinley Henderson took over for Chris Cooper, and plays Torvald as a slow-moving, quiet man who still manages moments of passion when pushed by those around him. The last, the daughter Emmy (Erin Wilhelmi, fresh off a role in The Crucible, originally played by Condola Rashād), has only a small part, but her turn as the woman hopefully entering into a marriage is a nice offset to Nora's own rebellious heart. The comedic timing of everyone in the cast is excellent, which is good, as the play is so wordy that any doubts or lagging would hurt it greatly. 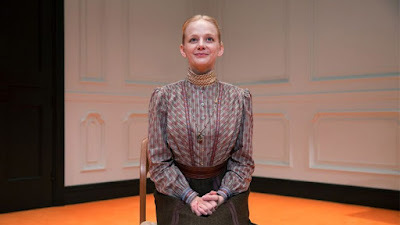 A Doll’s House, Part 2 delivers an interesting discussion on the role of women and family values in a more comedic and modern manner than its 19th century predecessor. Check it out if you’re in any ways curious about it or it sounds like it might be up your alley. Or, as a woman suggested as we were leaving, maybe take a date there as a litmus test, but I’d definitely check this out before it leaves Broadway, even without its original cast. A Doll’s House, Part 2 was originally supposed to run through July 23rd, but has been extended into early 2018 at the John Golden Theatre on Broadway.